Telemedicine provides many benefits to your facility. SNF / LTC operators can learn how to maximize their in-house treatment potential using the only telehealth platform designed specifically for post-acute care. Reduce readmissions, increase revenues, and most importantly- provide better care using iDocsWeb Telemedicine for skilled nursing facilities. 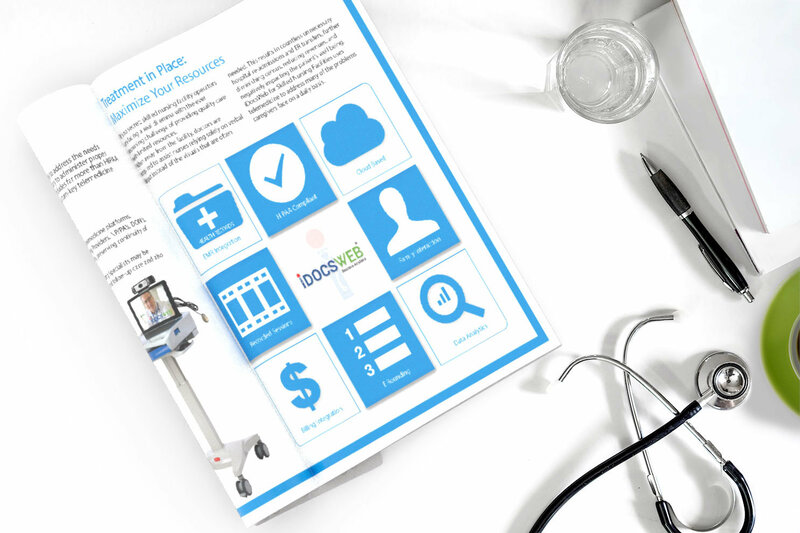 Our free guide to telemedicine in Skilled Nursing / Long Term Care contains 34 pages of valuable information for SNF and LTC operators. Learn how to get started, maximize your treatment in place potential, and track the ROI of your telemedicine program. Case studies of actual iDocsWeb users are included. 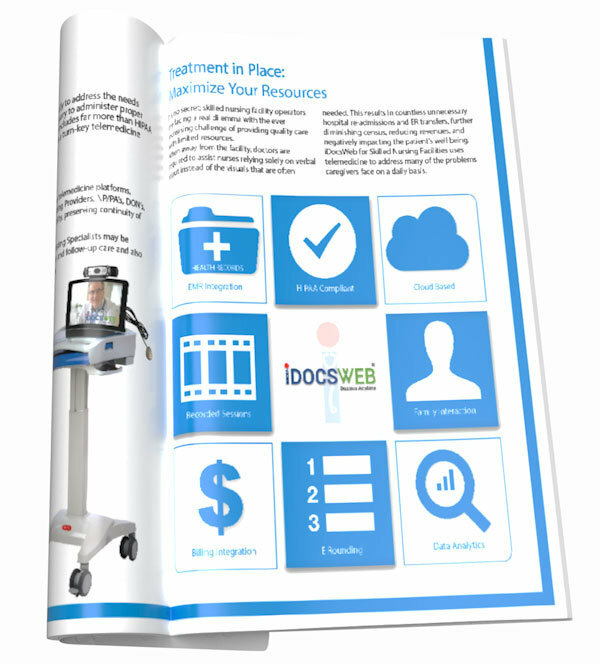 iDocsWeb offers free telemedicine education to LTC/SNF care givers via webinar and product demos. Learn how to create a culture of treatment in place and maximize your facility’s in-house resources. Our experts will educate you on overcoming challenges that often times hinder the success of telehealth programs. Designed, built, and currently operated by doctors, we offer the resources needed to make telemedicine a seamless component of your residents’ care. Telemedicine expert, Rikki Roehrich, holds over 12 years of experience working with and writing about medical innovations – or the intersection of emerging technology and healthcare. With both a bachelor’s and master’s degree in Communication Studies, her focus and passion has always been with health communication. She currently works as a writer for several innovative companies that operate in the healthcare space, and she researches and covers medical technologies that incorporate technologies such as machine learning, predictive analytics, remote functionality, AI, and the Internet of Things (IoT), amongst others. In addition to this, she also has over 7 years of experience working directly with the Telemedicine program for the University of California, Davis Medical Center. In this role, she assisted with the expansion of the telehealth network within the state of California as well as educational efforts for clinicians who were new to telemedicine. She also served as an instructor at the Telemedicine Education Program during her tenure here. We welcome you to submit any questions you may have to continue the dialogue on telemedicine’s place in LTC, its potential, its challenges and its future as a healthcare modality!